NEW YORK (November 13, 2013) - Sumthing Else Music Works, the premier record label dedicated to licensing and distributing video game soundtracks, proudly presents the Dead Rising® 3 Original Soundtrack featuring the original music score from Capcom's new generation open-world zombie action video game available exclusively on Xbox One. The Dead Rising® series is one of the most popular zombie game franchises, with more than 5.4 million units sold worldwide to date. The Dead Rising 3 Original Soundtrack will be available digitally at iTunes, Amazon.com and other music sites on November 19, 2013. An expanded 99-track version of the album will be available exclusively at Sumthing.com. As a bonus, Sumthing Else and Capcom are giving away 10 tracks. To download these free tracks, visit Sumthing.com. A two disc physical edition of the album will be released on November 26, 2013. 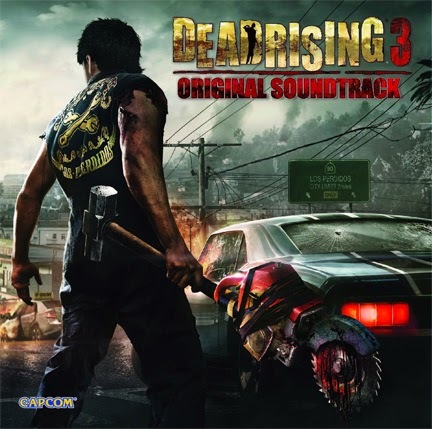 The Dead Rising 3 Original Soundtrack features two and a half hours of original score composed and produced by Oleksa Lozowchuk (Dead Rising® 2, Dead Rising® 2: Off The Record, Dead Rising® 2: Case Zero, Dead Rising® 2: Case West) including additional music by various artists such as Traz Damji, Sascha Dikiciyan, Brian Reitzell, Celldweller, Jeremy Soule and Julian Soule, Ashtar Command, and Dave Genn. "Dead Rising® 3's soundtrack mashes up classic horror, dirty synths and the '80s," said Oleksa Lozowchuk, Dead Rising 3 Composer and Soundtrack Producer. "Blend in a dose of craziness from the city of Los Perdidos to contrast the visceral pulse of survival horror, and you end up right at home, in the world of Dead Rising." Set 10 years after the events of Dead Rising 2, Dead Rising 3 takes place in the vast city of Los Perdidos amid a nationwide zombie outbreak that's on the brink of decimating mankind. The story follows Nick Ramos, a young mechanic with a strange tattoo and a mysterious past who must find a way to escape a city full of thousands of bloodthirsty zombies before an impending military strike wipes the city and everyone in it off the map. But Nick can't do it alone - he must join up with other survivors to stay alive and fight their way out before it's too late. With an immersive open-world experience, intense action, and unmatched level of weapon and character customization, a new generation of zombie-slaying fun has arrived with Dead Rising 3. For more information on Dead Rising 3, visit www.xbox.com/deadrising3. Check this out, you can first enjoy the score and then... get 10 tracks free! Not that you wouldn't like this in the first place, then they go and give you something. I am on my way right now!